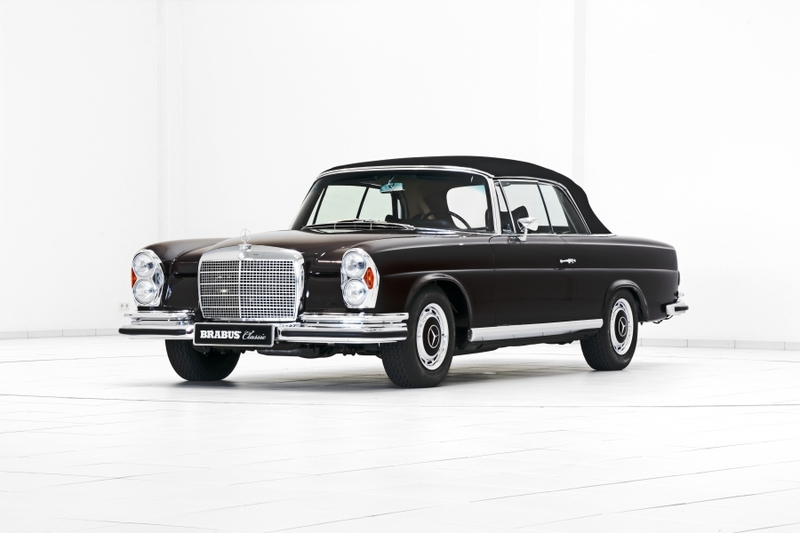 BRABUS Classic 6-star restoration Vintage Mercedes cars – rebuilt by BRABUS Classic Automotive gems with two-year warranty and Classic Data “Grade A” appraisal with supplementary rating. Up to 4,000 person-hours, the expertise from more than 35 years of automobile construction, countless new parts and a meticulous love of detail: that defines a BRABUS Classic 6-star restoration, the special distinction for automotive gems based on Mercedes-Benz vintage cars and late-model classics. BRABUS (Brabus-Allee, D-46240 Bottrop, phone +49 / (0) 2041 / 777-0, fax +49 / (0) 2041 / 777 111, Internet www.brabus.com) vouches for the outstanding quality of the classics rebuilt from the ground up not only with its good name. These vehicles carry the exclusive “BRABUS Classic 6-Star Certified High-Quality Restoration” label and are backed by the one-of-a-kind BRABUS Classic Warranty of two years with unlimited miles. The starting point for the rebirth of a classic Mercedes as part of a BRABUS 6-star restoration is always the disassembly of the original car to the last nut and bolt. In the process all parts are inspected and catalogued, unserviceable components are discarded and components that are suitable for reconditioning, such as chrome parts, are replated and returned to mint condition by the best specialists in the business. All paint is removed from the body shell, which is then reconditioned by experienced master bodywork specialists and given a catalytic dip primer coating. Perfect corrosion protection using cutting-edge technology to protect the paint is also part of the scope of the restoration as is a perfect paint job in the original color. While work on the body is going on, the engine is completely disassembled in the BRABUS high-tech engine shop and all parts are measured. The rebuilding process includes grinding and honing the cylinders as well as overhauling the cylinder head. The restoration of a classic engine is conducted with utmost care. The BRABUS powertrain technicians use the same precision in overhauling the drivetrain including the automatic transmission, driveshaft and differential. Special ‘Classic’ lubricants supplied by technology partner MOTUL ensure maximum reliability in everyday operations. There are also no compromises with regard to suspension and brakes: all components are replaced with new parts and thus offer optimal active safety. One of the BRABUS domains from exclusive vehicle refinement of course also comes into play during the restoration: the company upholstery shop creates cloth and leather interiors as well as carpeting in any color, perfectly and fully authentically finished to the smallest detail. The master upholsterers exclusively use materials of precisely the same color and quality as once used in series production. The soft tops for the drop-top Mercedes-Benz models are also manufactured in any desired color with the same high quality. The BRABUS finish carpenters specialize in reconditioning all cockpit wood inlays and in creating completely new ones from the same type of wood. 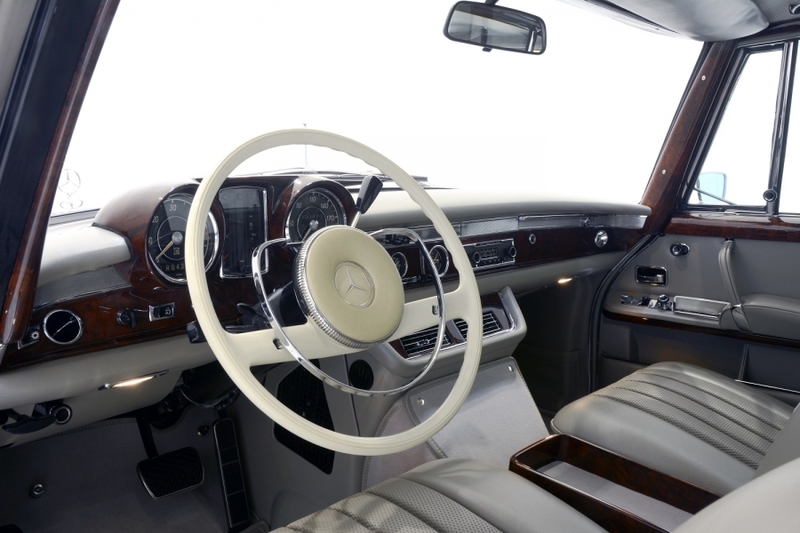 After work in the various departments is completed, the classic Mercedes car is rebuilt with utmost precision. Of course, in the process not only are all mechanical wear parts, but also all seals and gaskets replaced. Before the vehicle is delivered to the customer, depending on the destination, either as a VIP transport in a closed truck or by airfreight, each vehicle is subjected to extensive functional testing as well as safety and quality checks. BRABUS underscores the perfect execution of all work with a warranty that is unique in the entire vintage car industry: The automotive Mercedes classics, which were restored in the BRABUS manufactory in Bottrop from the ground up, are sold with the exemplary two-year BRABUS Classic warranty with unlimited miles. The quality of the work is also recognized by the manufacturer. 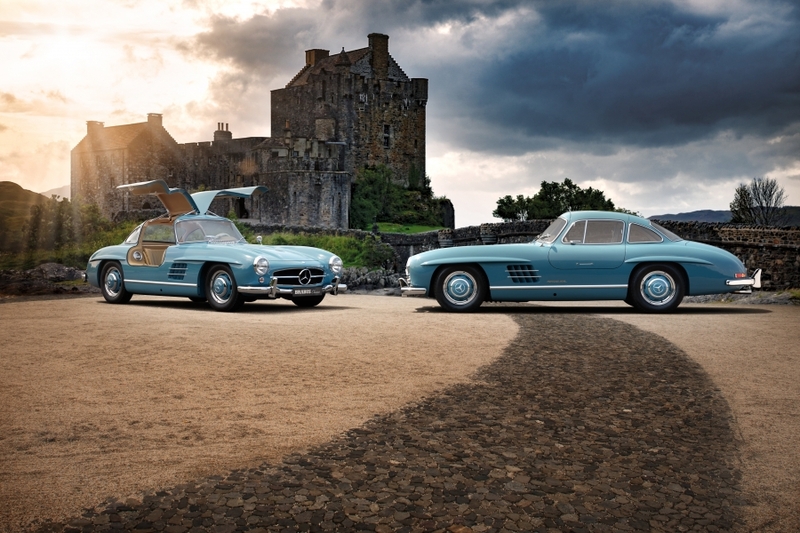 BRABUS Classic is an official Mercedes-Benz ClassicPartner. 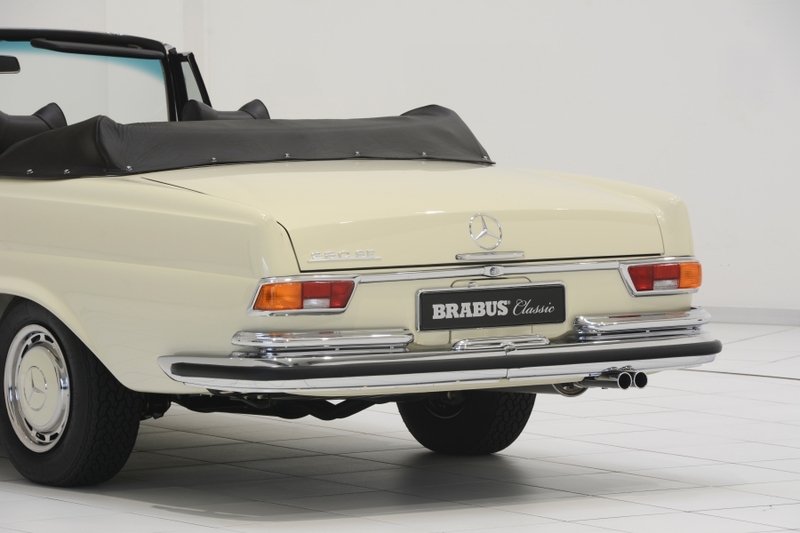 The buyer of a vintage car restored by BRABUS Classic can rest assured that each detail is treated with loving care. To this end, BRABUS Classic invests between 1,500 and 4,000 person-hours in each restoration depending on the vehicle in question. 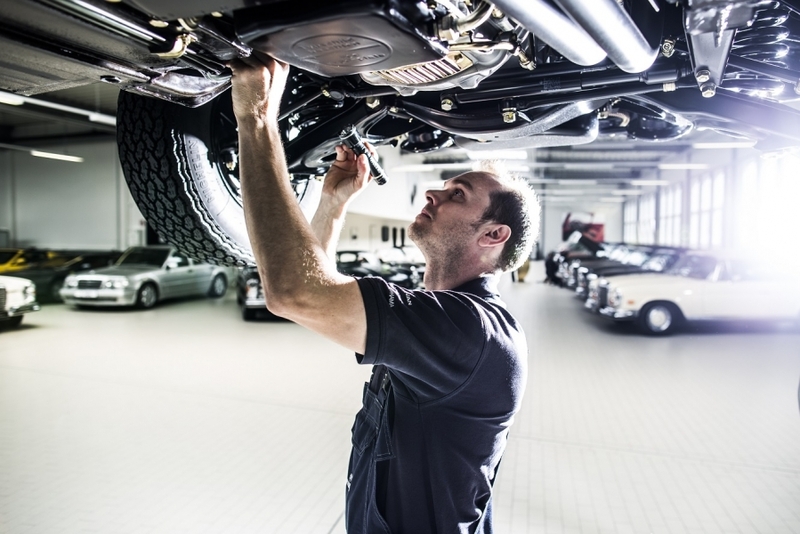 Full service by BRABUS Classic does not end with the purchase or the restoration: the company also offers the entire range of services from oil changes and professional inspections to complete conditioning. The motto for the proud owners is: Take a seat, start the engine and experience driving fun in its purest form! A continually updated list of available BRABUS Classic vehicles can be found online at www.brabus.com/classic. The home of the vintage car division is the BRABUS Plant 4 in Bottrop, built in 2014 at the corporate headquarters of BRABUS Group. 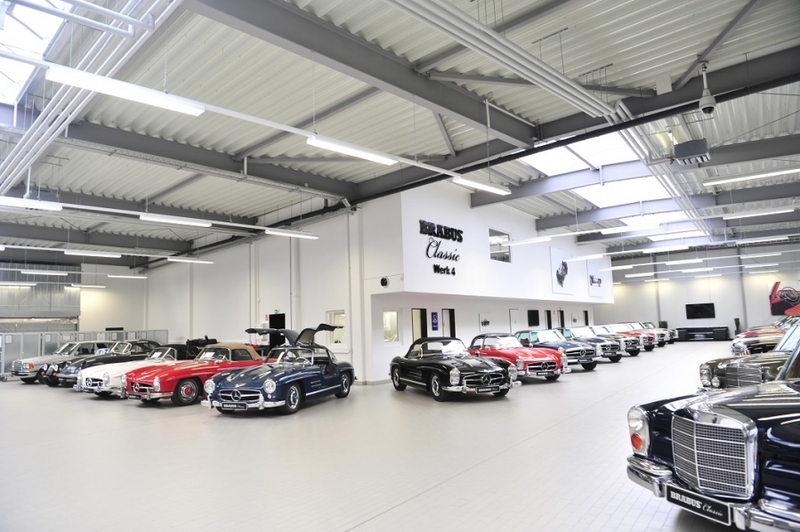 It houses a prestigious showroom for lovingly restored vintage Mercedes cars and a state-of-the-art workshop for restoration and service operations on about 2,000 square meters (21,500 square feet) of usable space.